Much like a cold glass of lemonade after yet another spring cleaning completed, volunteering leaves us with a sense of satisfaction and purpose like no other. Refreshing! Better still, Ministry of Transportation and Infrastructure volunteers and partners get a chance to see others enjoy the fruits of their labours firsthand. In celebration of National Volunteer Week, we’re taking a look back at some of the recent ways the ministry, local contractors and community partners have made, and continue to make, a difference by working together toward common goals. Whether it’s the joy of hearing the crack of the bat from a newly renovated baseball field or the simple act of making fresh tracks on a new trail, the actions from a few volunteers can make a big impact to many. 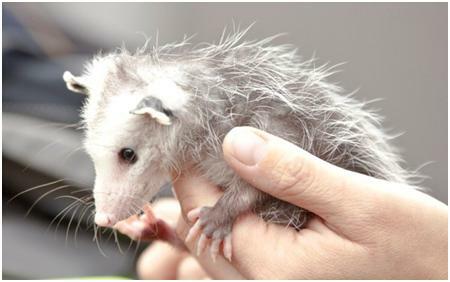 For instance, ministry volunteers and maintenance contractor Mainroad Contracting Ltd recently teamed up to support the Langley based Critter Care Wildlife Society, which specializes in providing treatment to sick, injured and orphaned mammals in BC before releasing them back into the wild. Volunteer efforts included building a new roof for the triage centre and constructing a new rodent food storage facility. If you build it, they will come: That was the spirit when Argo Road Maintenance and ministry staff teamed up with the Little Fort community to renovate their old baseball field. Building the Spirit of Blazing Trails: The ministry worked on 10 trail projects with community volunteers around the province to improve trail access, parking and amenities like picnic tables and gazebos. Boosting McBride Boating: the ministry and maintenance contractors donated their specialized skills to start building a boat launch into the Fraser River. Looking for ways to volunteer? Adopt a Highway! The ministry launched the program in 2003 to help keep our roadsides beautiful. Businesses and community groups “adopt” a stretch of BC highway and take on duties such as landscaping and removing litter and invasive plant species. It’s a great way to build community pride for our local landscapes. According to Statistics Canada data released this week, about half of all Canadians over the age of 15 regularly volunteered their time in 2010. How are you pitching in this year?